While the cities below are located hundreds of miles from each other, they all have something in common: Their urban communities are afflicted with poverty and a lack of employment opportunities. Those with criminal records face even steeper obstacles. As a result, the drug trade and gun violence in these neighborhoods have been raging for years. The programs below treat these issues as an epidemic: “an outbreak of disease that spreads quickly and affects many individuals at the same time,” according to Merriam-Webster. Rather than rely on standard policing and prison terms to alleviate the issue, these programs apply strategies that focus on the causes of gun violence. In 2007, Richmond was the ninth most dangerous city in the United States, with 47 homicides, the highest per-capita homicide rate in California. When DeVone Boggan became the director of the Office of Neighborhood Safety (ONS), an Oakland-based nonprofit, that year, he came up with a novel idea to stop the violence: find young adults with a criminal history and convince them not to commit gun crimes. In addition to building relationships with these high-risk youths, ONS offered them $1,000 per month in cash if they would go 18 months without committing a gun crime and demonstrate an effort to reform themselves. The program also pushes for longterm success by connecting members with job opportunities, helping those who might be ineligible for jobs due to their records. Last year, Richmond recorded 11 criminal homicides, its lowest number since 1971. Gun violence has been an ongoing problem in Boston. A 2010 Harvard study revealed that just 1 percent of Boston residents aged 15-24 were responsible for approximately half of the city’s shootings. The same study also showed that 70 percent of the shootings over a three-decade period occurred in areas covering just 5 percent of the city. 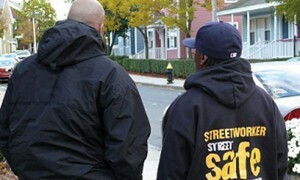 Founded in 2008, StreetSafe employs street workers to build relationships with Boston’s active gangs. The organization has two strategies: street-level intervention that encourages at-risk individuals to resolve conflicts, and providing social services to youth gang members in need. The program was supposed to end last New Year’s Eve because of a lack of resources. 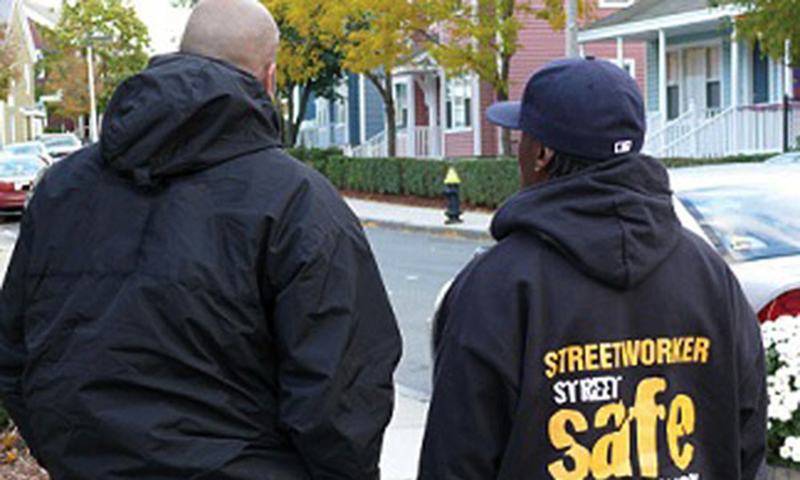 However, StreetSafe has now merged with Boston Centers for Youth & Families — another organization focused on providing services for the youth — and will receive $3.1 million in funding from the Boston Foundation, a nonprofit organization dedicated to philanthropy efforts in the city, to continue for at least three more years. 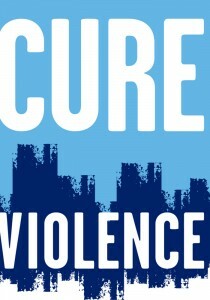 CURE Violence is one of the country’s more famous anti-gun violence programs. The organization, formerly called CeaseFire, was the focus of the 2011 documentary “The Interrupters.” CURE Violence is known for its innovative approach to gun violence: treating it as a disease. The organization uses outreach workers to “cure” violence by identifying individuals who are deemed most likely to engage in gun violence — whether it’s through prior criminal records or reputation. The workers help mediate conflict between gangs and connect high-risk youths to a variety of services. One of the most important aspects of CURE Violence’s program is its employment of former gang members and criminals to reach out to the youth. In the young people’s eyes, the street workers’ former lifestyle makes them more credible. Although there have been some spikes, homicide numbers have drastically decreased since CURE Violence’s implementation in 2000. There were 407 homicides in Chicago in 2014, a slight drop from he previous year. However, there’s been a 14 percent increase in shootings since 2013, according to the Chicago Police Department’s stats. CURE Violence remains one of the most influential models when it comes to treating gun violence. It has been implemented in various cities, including New York, with the S.O.S. (Save Our Streets) organizations. Chicago, Ill. – Project Safe Neighborhoods: Like CURE Violence, Project Safe Neighborhoods (PSN) focuses on gun violence and gang activity. The key difference between the two is that Project Safe Neighborhoods works with law enforcement; CURE Violence tends not to collaborate with the police because it doesn’t want to risk its rapport with the youth. PSN and federal, state and local law enforcement work together in a manner that’s similar to StreetSafe Boston: Focusing on the gun offenders and the violence-heavy areas. Instead of relying on street workers, PSN uses offender notification meetings. Police representatives and ex-criminal offenders address offenders with a history of gun activity and stress the severe repercussions of continued criminal acts. The method hinges on the rational choice criminology: potential criminals won’t commit crimes if they’re fully aware of the harsh legal risks. PSN isn’t as popular as CURE Violence, but PSN Forum Coordinator Michael Fleury notes that it is effective. Jacksonville, Fla. – Operation PIE: Announced on May 5, Operation PIE (Prevention, Intervention, Enforcement) works as a faith-based extension of Jacksonville’s Operation CeaseFire, which was founded last year. The new initiative is a collaboration between law enforcement and local pastors. In hopes of positively influencing potential criminals, Operation PIE targets children aged 10-15 by focusing on domestic issues, like family dysfunction and unemployment. To do so, send police officers on house visits and patrols to build a relationship with families and residents. The officers have been proactive so far. They’ve made contact with over 1,500 kids, according to the Jacksonville Sun Times.